We're on the hunt again for the perfect mix of designer/makers, artists, vintage sellers and artisan foods for our next event! We are rather delighted to have been invited to organise a Lady Magpie & Me Vintage & Handmade Fair as part of the Pack Up Your Troubles Festival in Gretna on Saturday 29th August 2015 from 10am till 4pm, with free entry. The Pack Up Your Troubles Festival will be a nostalgic, feel good WW1 themed festival, to celebrate 100 years since the towns of Gretna and Eastriggs were created. The Festival Programme will be packed with loads of events to lift the spirits, including old style music hall and variety, a classic bus offering tours of the famous Munitions Factory, a WW1 themed tearoom and much much more. The Festival is being fully embraced by the local communities in which it takes place and will be of interest to all those interested in WW1 themes, military and social history and the Gretna and Eastriggs diaspora. If you want to Pack Up Your Troubles in August, you know where to come. We want to offer customers and visitors to Lady Magpie & Me, a wonderful curated mix of designer/makers, vintage, food and so much more! Our hope is to offer an alternative shopping experience, promoting high quality craft, design and art alongside vintage sellers and artisan foods from Scotland and beyond. 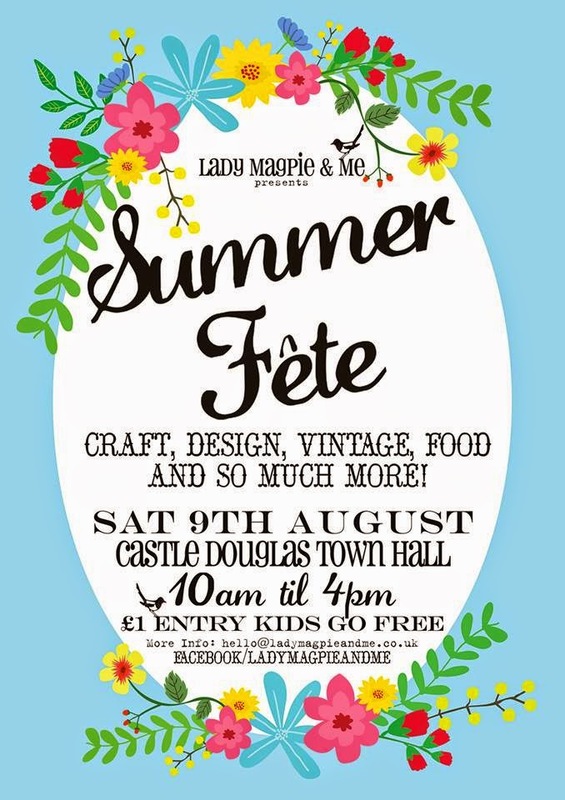 It's not long now till our next Lady Magpie & Me on Saturday 9th August at Castle Douglas Town Hall, and we hope you'll be coming along too! We're getting rather excited here at Lady Magpie & Me, we're thrilled to have over 20 stalls for visitors to peruse at the Summer Fete. 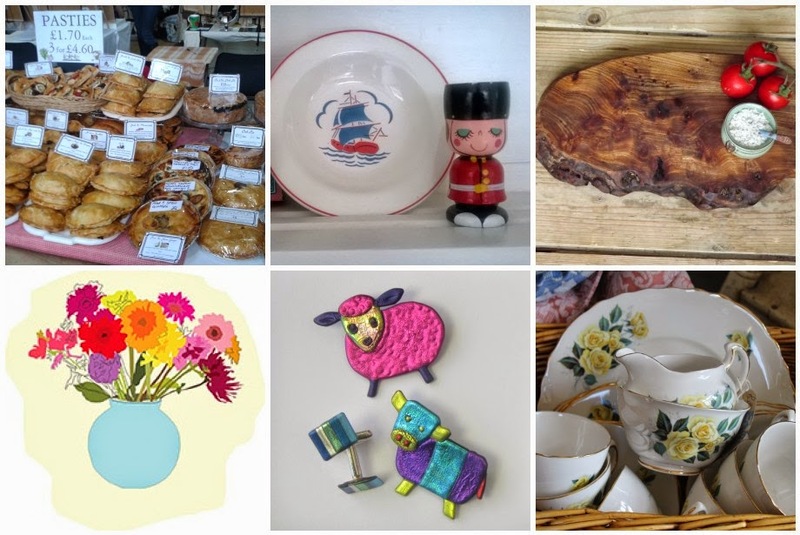 There really is something for everyone and a wonderful curated mix of handmade, design, craft, vintage, food & so much more! Are you a whizz at stitching? Green Fingered? Consider yourself as the next Picasso? Or love nothing better than cooking up a storm in the kitchen.....well why not enter our Summer Show, lots of classes and you've a chance of winning gift vouchers that can be spent on the day. Go on, try your luck and join in the fun! For more info and details click here to read more. Enjoy shopping for something a little bit different, unique and handmade. Get the chance to meet the makers and chat with them personally about their designs and inspiration. Enjoy delicious artisan foods which are all produced locally. And for your inner magpie there's all kinds of vintage treasures to discover too! Sit down and put your feet up after all the shopping at our pop up tearoom! Old fashioned hot and cold refreshments with a twist are all on offer to conquer your parched throats! And remember you can like us on FACEBOOK and follow us on TWITTER too. So who will be there on the day I here you cry......well sit back and have a good old nosey at our wonderful line up. Hailing from Kircudbright, Jo Gallant is a well-established local designer-maker. At her stall, you’ll be able to add your very own design in beautiful hand-stitched linen to a cotton bag and have it stitched before your very eyes! An udderly fantastic selection of cupcakes, cakes, and cake jars, brownies, mini loafs and meringues. Udderly Moolicious Cupcake Co will be coming along to their first Lady Magpie & Me. All products are freshly baked from the oven, you’ll be able to taste the difference! 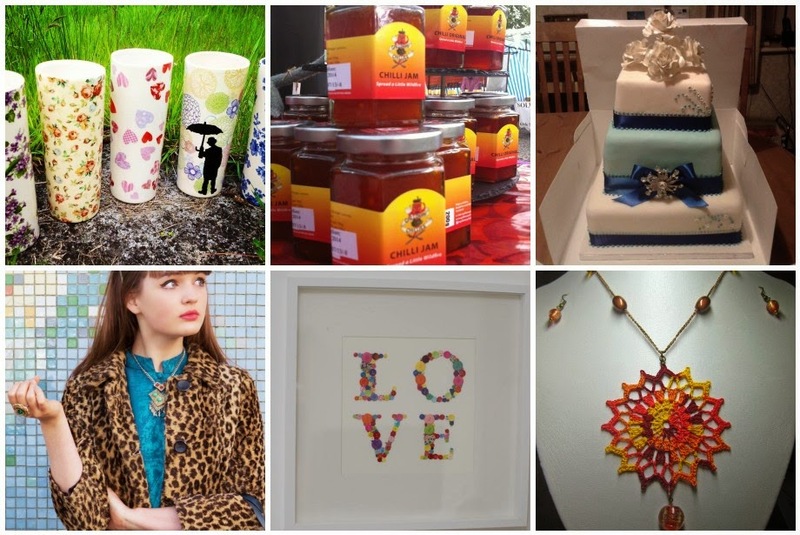 We’re pleased to welcome along Kilmarnock based In the Frame to our Summer Fete. At their stall, you’ll find beautifully designed word art, which can also be personalised to accommodate your word wants! Aileen creates contemporary sterling silver jewellery designed and hand crafted using traditional silversmith tools and techniques. Pieces include various textures and the addition of resin for colour and definition. Hailing from Kilmarnock, we’re delighted to welcome If I Could Turn Back Time to their very first Lady Magpie & Me fair. Featuring a host of nattily made clocks, which have been recycled from the likes of vintage tins and books – see if you can spot your old favourite bedtime story! Locally based Warmanbie Wools will be setting up shop for the first time at our Summer Fete. Fiona spins her own wool then leaves the wool to it’s own natural devices or she dyes it, using the wool to knit or weave small bags and scarves. She also hand dyes silk scarves and uses silk and other fibres in her work. We’re delighted to welcome back local food producer Grannie Jean’s to Lady Magpie and Me. At Grannie Jean’s, you’ll find a hoard of freshly home baked goodies for you including meat and vegetarian pasties, traditionally made meat pies, quiches, tarts, sausage rolls and cookies. There’s sure to be something for everyone! Her first time at Lady Magpie & Me, we’re delighted to welcome Renfrewshire based Katie to the Summer Fete. Katie will be packing her vintage suitcases and selling a delightful range of vintage goods and furniture all hand picked from France and Belgium. Ooh la la! We’re thrilled to welcome back Aldaron Woodcrafts to Lady Magpie & Me. They design unique, handmade, personalised chopping and serving boards, wooden benches, house signs, clocks, book ends, signs for sheds, stables etc, little decorated eggs and pebbles, children's door signs & coat hooks. Aldaron Woodcrafts use locally sourced hardwoods such as sycamore, holly, cherry ash and wych elm for our smaller products and thick, rustic pine for making our benches. Glasgow based Doris Does Doodles will be showcasing a whole host of illustrations with a retro vibe for the very first time at Lady Magpie & Me. These are based on photos of people, places and pets. Expect oodles of quirky illustrations in vintage frames and prints on fabric, greeting cards and some illustration craft based goodies. We're looking forward to welcoming back Heather Andrews to our Summer Fete. Heather is a qualified jeweller based in Dumfries & Galloway. She designs and creates eye-catching, ethical jewellery and makes a wide range of bright, colourful and inexpensive jewellery from bio-degradable plastic. Inspired by picnics and afternoon tea, expect a range of vintage and retro recycled lovelies by Just My Cup Of Tea. A fabulous selection of tea cup candles, homewares, kitchenalia, cake stands, picnic ware and pretty things. Rachel’s Wonders Jewellery is an Aladdins Cave of many styles and colours. 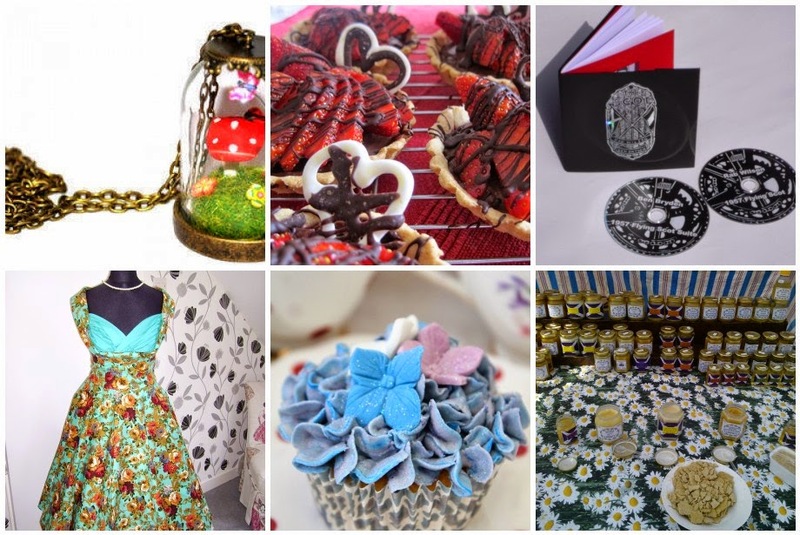 Expect handmade kitsch and quirky jewellery, including; printed home ware, teapot lamps, and hair accessories. We look forward to welcoming back Rachel over the border to Lady Magpie & Me Summer Fete. Kircudbrightshire based Annette's Baking in a Box will be setting up shop for Lady Magpie and Me once more. Annette will be showcasing a range of treats from mini cakes and traditional fruit and sponge cakes to picnic boxes and party boxes. Roncadora Press will be joining us once more at our Summer Fete. They produce artists books and limited edition handmade poetry pamphlets, as well as a range of cards and prints for you to persue on the day. We’re delighted to welcome along Dolly Daydreams to Lady Magpie & Me, its ther first time at our fairs. A change from their usual settings in pop up vintage shops, they’ll be selling a whole host of vintage and vintage style clothes, as well as a lovely mix of accessories ranging from the 1950’s to the ‘80’s. Based in South West Scotland, Kaixe creates scrumptious cupcakes - both mini and regular sized - and bespoke celebration cakes for every occasion, whether for a birthday, a special event or a wedding why not discussion your ideas on the day. Kaixe will be joining us once more at Lady Magpie & Me Summer Fete, so make sure to try some of the treats on offer! A Bee Provided produce a range of products based on honey bees. 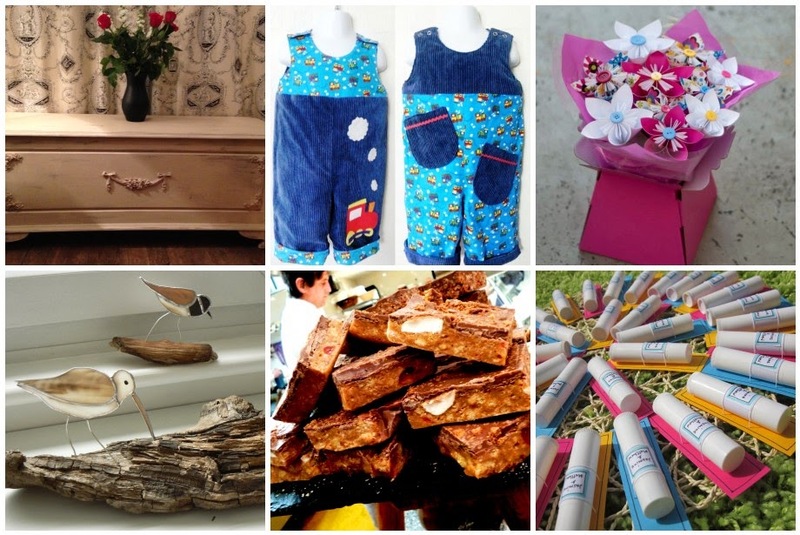 Bees wax candles, candle sticks, honey, handmade honey and bees wax soaps and bees wax furniture polish will all be available at Lady Magpie & Me Summer Fete. We’re delighted to welcome back locally based The Jade Closet to the Summer Fete. A treasure trove of pre-loved and vintage fashion and wedding attire; The Jade Closet also offers a range of beautiful vintage jewellery and bespoke designed accessories. As well as organising Lady Magpie & Me, Leah will be selling her designs on the day. Leah Halliday lovingly creates and designs handmade gifts, accessories and homewares inspired by vintage fabrics, ephemera, nostalgic images and forgotten fabrics. Leah is a collector of all things vintage with a home filled with ceramics, linen, ornaments, tea cups, toys & books which all inspire her work. Leah also sells an ever changing handpicked selection of vintage finds for you and your home. A jolly mix of colours, prints & patterns! Goodbye, Norma Jean is travelling over the border once again and setting up shop at Lady Magpie & Me Summer Fete. "All killer, no filler! "-that's the rule at GNJ! Expect a range of on-trend vintage and designer clothing, jewellery and accessories all stylist- picked from far and wide. An eclectic melting-pot of magnificence, from the sublime to the ‘Cor, blimey!’, from the 1890's to the 1980's and beyond! So Sew Pretty offer a variety of relaxed, fun & sociable workshops at Solway House set in the grounds of the Crichton, Dumfries. You’ll learn heaps of new skills, meet like minded folks & find out how fun and rewarding it can be to make your own. Workshops are taught by Leah & from time to time by other invited crafty souls, keen to pass on their passion & expertise to others. 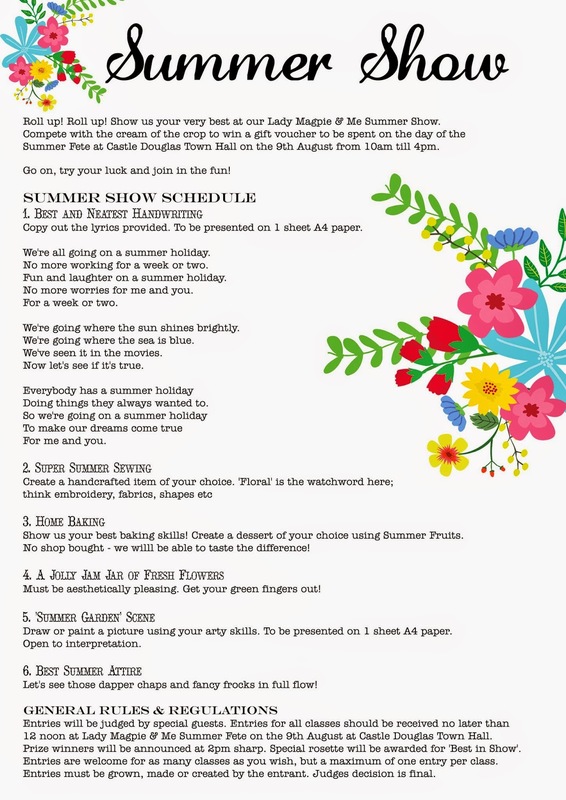 Show us your very best at our Lady Magpie & Me Summer Show. Entries are welcome for as many classes as you wish but just one entry per class. Show off your talents and enter for the chance to win a gift voucher or two to be spent on the day at the Summer Fete on the 9th August at Castle Douglas Town Hall from 10am till 4pm. £1 Entry Kids go Free. Go on, try your luck and join in the fun! 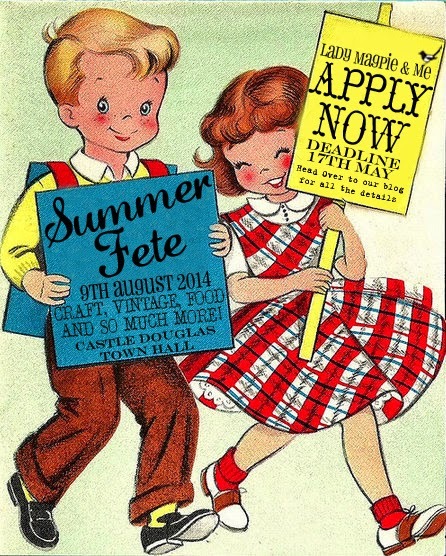 Applications now open for Lady Magpie & Me Summer Fete! 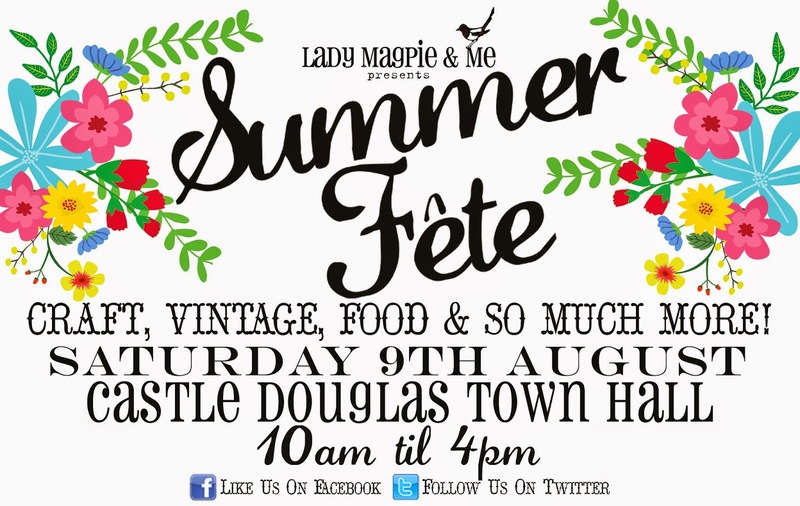 The Lady Magpie & Me Summer Fete will take place at the Town Hall in the bustling town of Castle Douglas on Saturday 9th August 2014 from 10am till 4pm, with £1 entry and kids go free. We'll be celebrating our 2nd birthday in August and we feel Lady Magpie & Me is a unique event within Dumfries & Galloway. After the success of our previous events we now hope that Lady Magpie & Me becomes a date in the diary with 3 events hosted in Spring, Summer and Winter. If you'd like to apply then please get in touch here and complete our online application. PLEASE NOTE: Deadline for applications is midnight on 17th May 2014. Lady Magpie & Me Spring & Wedding Fair - Who's there on the day! 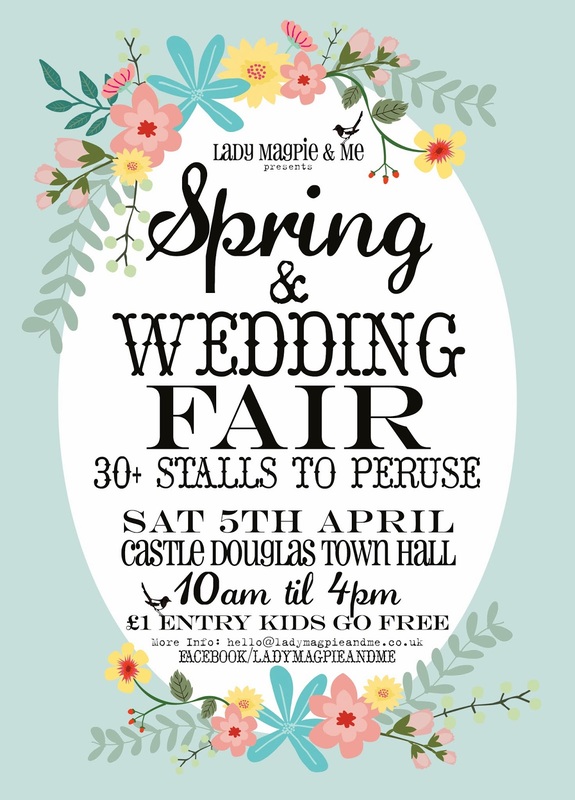 It's not long now till our next Lady Magpie & Me on Saturday 5th April at Castle Douglas Town Hall, and we hope your coming along too! 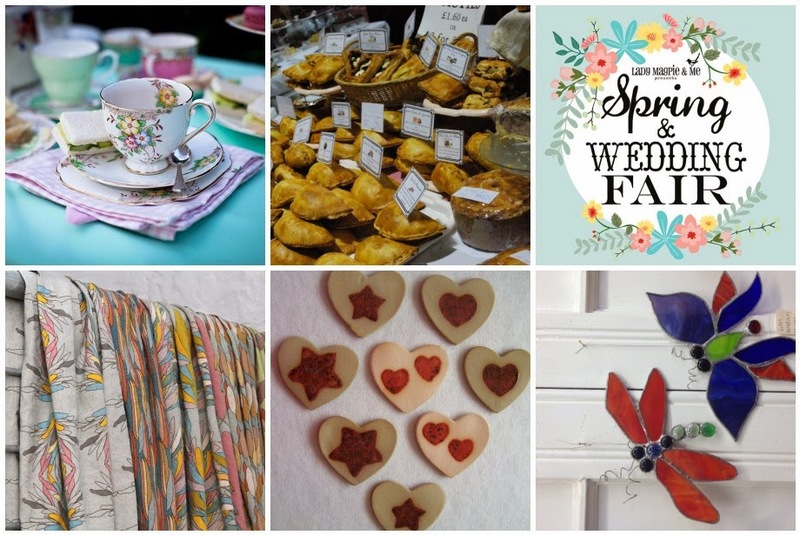 We're getting rather excited here at Lady Magpie & Me, we're thrilled to have over 30 stalls for visitors to peruse at the Spring & Wedding Fair. 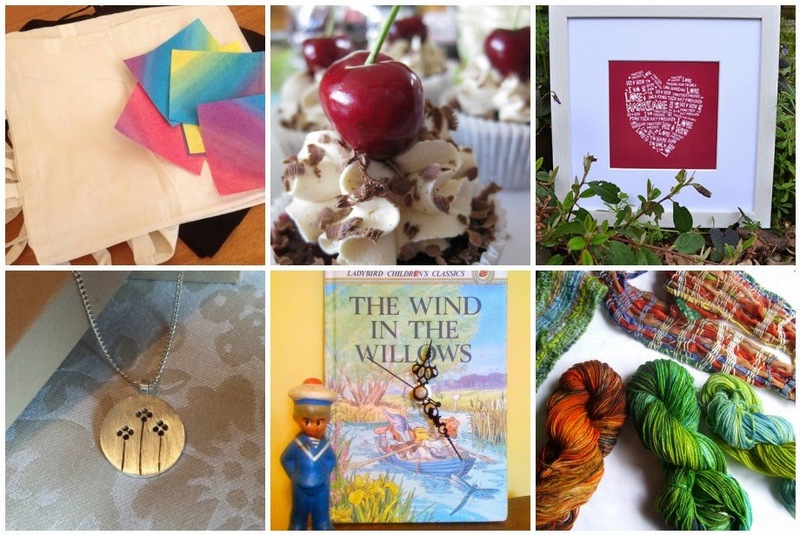 There really is something for everyone and a wonderful mix of handmade, design, craft, vintage, food & so much more! Enjoy shopping for something a little bit different, unique and handmade. Get the chance to meet the makers and chat with them personally about their designs and inspiration. Enjoy delicious artisan foods which are all produced locally. And for your inner magpie there's all kinds of vintage treasures to discover too! 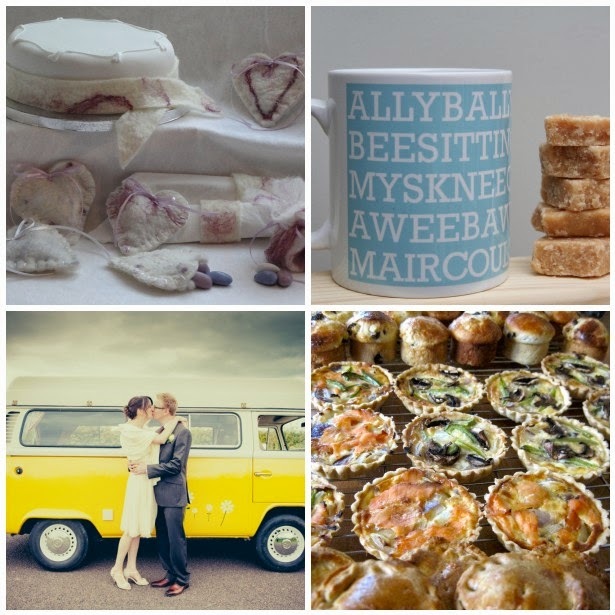 We've also got crafty, diy & vintage wedding inspiration if you're planning your big day. The Damson Cup offer a plethora of vintage crockery, accessories and props for hire across Scotland for all types and sizes of events, ranging from large scale weddings and corporate launches to small tea parties and picnics in the park. They can provide crockery and everything else you need for up to 400 guests. And if you need an organisational hand to steer you in the right direction, they also offer a full event planning and on-the-day management and set up service. A Lady Magpie and Me old timer, we’re thrilled to welcome back locally based Morag Macpherson Textiles to the Spring Fair. Morag’s bold and colourful designs and illustrations are influenced by different cultures, art movements in history, natural and urban formations, which are then digitally printed onto wallpapers, cottons, fine wools and pure silks. Her designs include limited edition digitally printed interior and fashion accessories, such as scarves, bags and cushions. Other designs include one-off patchworked wearable art clothing in silks, linen mixes and cottons, finished as kimono style robes and coats and wraparound skirts. We’re thrilled to welcome back Castle Douglas based Hinton Pottery who will be joining us on the 5th April. Hinton Pottery create various pottery gifts from glass filled ceramic coasters and ceramic buttons to jewellery, plaques, candle sticks and heart shaped wall 'danglies' and even pictures of landscapes entirely made from clay. Local Lorrie Kyle Stained Glass will be setting up shop for the first time at the Lady Magpie and Me Spring and Wedding Fair on the 5th April. Lorrie works with Lead and Copper Foil projects, resulting in unique, colourful and sometimes functional stained glass designs. Finished pieces include sun-catchers, small, medium and large panels, brooches and 3D flower plant supports, all drawing inspiration from local flora and fauna. asterlingidea is the pseudonym of Hannah Morris-Knowles, a young up and coming Jewellery Designer based in Tynron, Dumfries and Galloway. The brand was born out of creativity, a passion for working with her hands, and a love of adorning herself in beautiful things. 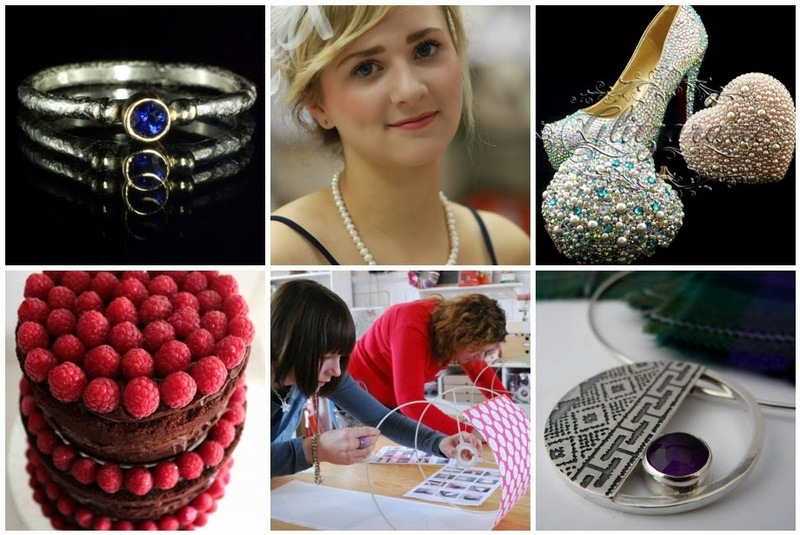 Having learnt basic silversmithing skills at college, Hannah continues to study advanced techniques independently. Hannah works primarily in silver and gold and loves to work with both rough and faceted stones. She has become well known for her rough rings which she mixes with precious gemstones to create beautiful juxtapositions. We’re delighted to welcome along locally based The Jade Closet to the Spring Fair. A treasure trove of pre-loved and vintage fashion and wedding attire; The Jade Closet also offers a range of beautiful vintage jewellery and bespoke designed accessories. Another newcomer to Lady Magpie and Me Spring and Wedding Fair, we’re pleased to welcome along Lockerbie based Glitzaratti. An International award winning shoe design company playing host to an eclectic sparkly collection of accessories and clothing, you’ll find a range of shoes, bags, brooch bouquets as well as some beautiful personalized gift ideas too. Based in South West Scotland, Kaixe creates scrumptious cupcakes - both mini and regular sized - and bespoke celebration cakes for every occasion, whether for a birthday, a special event or a wedding. Cupcakes can be ordered as a wedding tower, for favours or as a thank you. Kaixe will be joining us once more at Lady Magpie & Me Spring and Wedding Fair, so make sure to try some of the treats on offer! 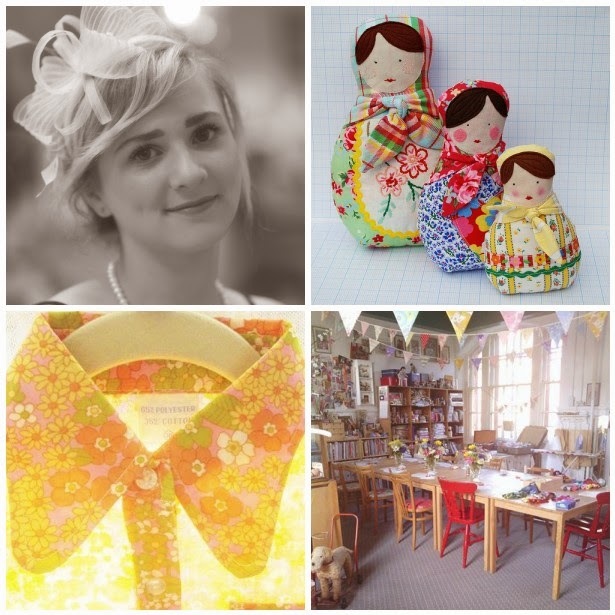 So Sew Pretty offer a variety of relaxed, fun & sociable workshops. You’ll learn heaps of new skills, meet like minded folks & find out how fun and rewarding it can be to make your own. Workshops are taught by Leah & from time to time by other invited crafty souls, keen to pass on their passion & expertise to others. Now a Lady Magpie and Me regular, West Lothian based Kirsty Muir will be joining us once more at the Spring Fair. Having studied jewellery design for 4 years she now creates contemporary handmade jewellery in her garden studio. She likes making quirky jewellery from a range of sterling silver, gold, gemstones and incorporates bright colours, textures and fabrics in many of the pieces, often with a Scottish twist. Here at Lady Magpie and Me, we love nothing better than reusing and recycling, so we’re pleased to welcome back Castle Douglas based Painted Chic. Painted Chic brings old furniture alive ‘shabby chic style’. With their trusty tools, they can liven up anything from a teapot to full bedroom set. Look out for a range of up cycled, hand painted furniture on the day along with smaller items such as picture frames, vases, wash jugs and bowls and jewellery boxes. A regular at Lady Magpie and Me, we’re pleased to welcome back Tiny Tots Togs to the Spring Fair. Learning the joys of sewing from a young age, mother and daughter team Tiny Tots Togs has created a fun and imaginative range of handmade dresses and clothes for your little ones from tried and tested patterns used throughout their childhood. We’re looking forward to welcoming along Edinburgh based Pretty Paper Petals to our first fair of the year. Pretty Paper Petals hand make a range of paper flower bouquets, topiary trees, decorations and wedding accessories. Wedding accessories include table centre pieces, bride and bridesmaid bouquets, button holes and favours to suit your day. A first timer at Lady Magpie and Me, we hope you’ll give a big welcome to another lovely new stallholder, Mark Rogers. Hailing from Lockerbie, locally based Mark designs and hand makes a range of stained and fused glass, along with a small collection of needlefelted landscape pictures. Considered the food hub of Dumfries and Galloway, we’re thrilled to welcome along the Kilnford Farm team to Lady Magpie and Me Spring Fair. Expect a stall laden with home reared meats, home grown veg and a wide range of the best produce Dumfries and Galloway has to offer all available through their home delivery service. Their first time at Lady Magpie and Me, we’re delighted to welcome along Midlothian based Minyara. They design a beautiful range of personalised, hand written wedding favour lip balms. Minyara’s all natural lipbalms are created using a mix of sweet almond oil, beeswax, cocoa butter and essential oils. Caroline Nash Crafts will be returning once more to Lady Magpie & Me Spring and Wedding Fair. Lots of visitors to our fairs have fallen in love with her handmade Contemporary, quirky ceramics with a vintage-feel..Caroline will be packing her suitcase and will be travelling across the border from her Cumbria based studio to join us on the 5th April. Having just been shortlisted for Dumfries and Galloway’s Most Promising New Business, we are certainly looking forward to Galloway Chillies bringing a bit of spice to the Lady Magpie and Me Spring and Wedding Fair. They sell a whole host of all things chilli; homemade preserves, chilli seeds, plants, fresh chillies, a range of chilli mugs and chilli hot chocolate. Based in South West Scotland, not far from Wigtown, all Galloway Chillies products use British grown chillies and are Scotland’s second chilli Farm. Cakes by Agnes will be returning once more for their 2nd Lady Magpie and Me Fair. 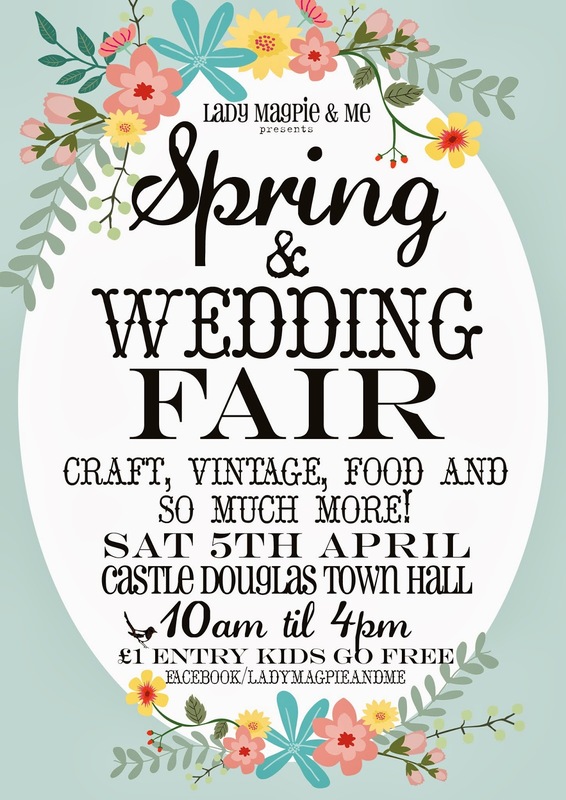 Dumfries based Agnes will be bringing along a selection of handmade vintage style wedding cakes to our Spring and Wedding Fair so make sure to pay their stall a visit on the 5th April. Goodbye, Norma Jean is travelling over the border once again and setting up shop at Lady Magpie & Me Spring Fair. "All killer, no filler! "-that's the rule at GNJ! Expect a range of on-trend vintage and designer clothing, jewellery and accessories all stylist- picked from far and wide. An eclectic melting-pot of magnificence, from the sublime to the ‘Cor, blimey!’, from the 1890's to the 1980's and beyond! 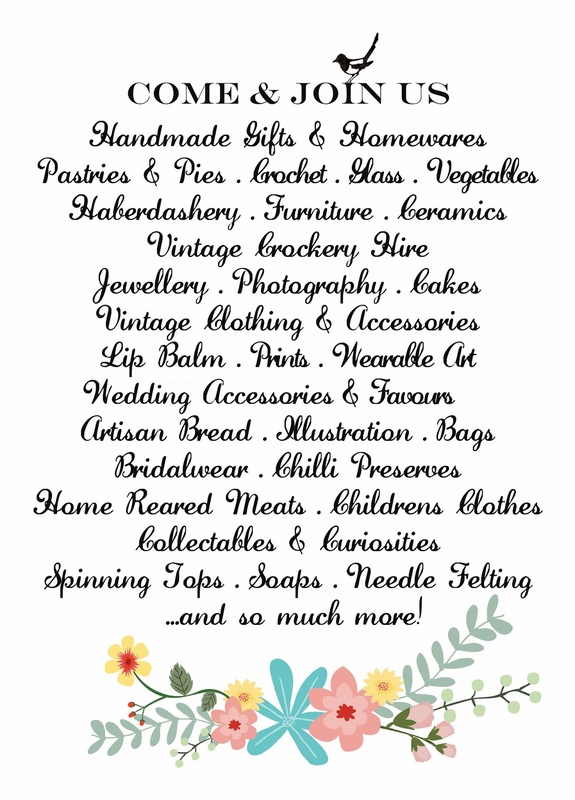 A first timer at Lady Magpie and Me, we hope you’ll give a really big welcome to another new lovely stallholder. Glasgow based Picture Perfect Buttons design and create a collection of bespoke button pictures individually made from modern and vintage buttons, embellishments and beads. With designs such as pretty hearts, stars, fairies, wording and more, each and every picture is unique. Returning once more to Lady Magpie and Me Spring and Wedding Fair is Red Squirrel Crafts. With their trusty crochet hooks, thread, ribbon and beads, they create unique and unusual hand crocheted jewellery and accessories, inspired by the beauty of nature. Specialising in bespoke commissions and wedding jewellery, Red Squirrel Crafts have the ability to colour match to any outfit. Inspiration from nature is reflected in designs such as flowers, leaves, butterflies, sun, stars and snowflakes. Newton Stewart based Sarah Jane Coleby will be packing her bags and returning to the Lady Magpie and Me Spring and Wedding Fair once more. Sarah-Jane takes inspiration from beasties near and far and turns wool into mini works of art through the magic of needle felting. 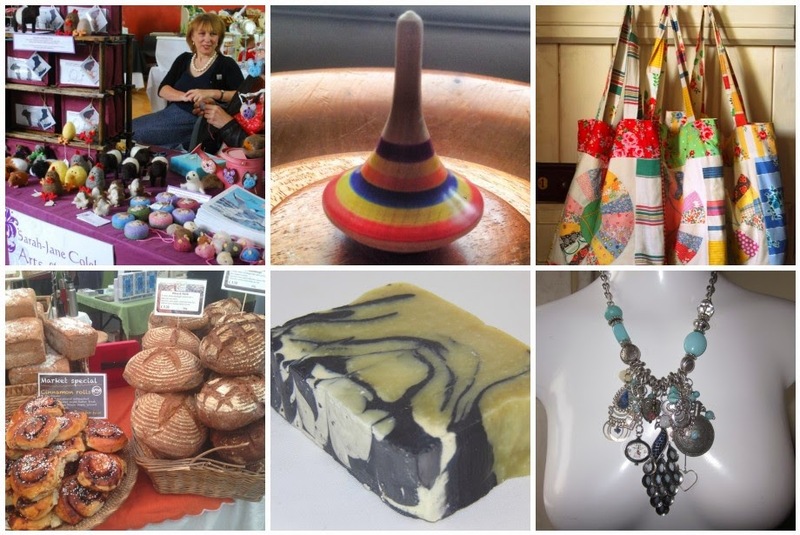 Beautiful needled felted animals, needle felted pin cushions, hanging ornaments, garlands and needle felting kits are all on offer on the 5th April. The Topman will be rolling up to Lady Magpie and Me for their very first fair. Based in South West Ayrshire, they’ll be showcasing a range of handmade and retail wooden spinning tops imported from Austria and Germany. Expect to be transported back to your childhood and the days of yesteryear. Who doesn’t love a loaf of freshly home baked bread? Well, you'll be thrilled to know to that family run artisan baker's The Earth's Crust Bakery will be setting up shop at our Spring and Wedding Fair. Based in the small village of Laurieston, they produce delicious slow fermented handmade artisan breads. Follow your nose to their stall, they tend to sell out rather quickly, so it’s best to make an early appearance if you want to catch some goodies. Moniaive based family run business Lenny's Soap will be coming to Lady Magpie and Me for the first time to give you all a squeaky Spring clean! They sell cold process soap with natural colourings and bath products and a range of scented candles, and will be showcasing their new collection of handmade wedding favours, including soaps, candles, small pots of honey from their very own bees. Newcomer I’m Loving You Again will be paying a visit to our Spring and Wedding Fair on the 5th April. Clackmannanshire based Morag will be bringing along a whole host of recycled and reinvented jewellery and small pictures made from old antique vintage and found objects all mixed up with vintage lace and textiles. Everything is unique and a one-off piece. Returning to our Lady Magpie and Me Spring and Wedding Fair will be Elegant Originals. The finest merino and silk fibres are used in locally based textile artist Caroline’s designs to make hand felted bridal bodices and gowns. The mix of silk chiffon along with soft felted merino and silk produces gowns of a unique, natural nature and beauty. Handmade felt is used to make wedding favours and table decorations along with a new development of felted glass candle holders as stunning table centre pieces. Hailing from the West Lothian area, Just Braw are here for their very first Lady Magpie and Me fair. Coming from an artist and printmaker background, Just Braw work with linocut and screen printing and will be showcasing their collection art prints, textiles and a range of Scottish gifts for you on the day. We are looking forward to welcoming David Moses once more to LM&M. Based in Newton Stewart, David produces relaxed, fun and classic photographs, specialising in natural and outdoors family shoots, along with beautiful, vintage, reportage wedding photography. Nothing cheesy or forced, Victorian or tacky, just beautiful photographs that will last a lifetime. Kircudbrightshire based Annette's Baking in a Box will be setting up shop for their first Lady Magpie and Me. Annette will be showcasing a range of treats from mini cakes and traditional fruit and sponge cakes to picnic boxes and party boxes. We hope you'll give her a lovely welcome to our Spring and Wedding Fair. 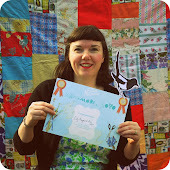 Lady Magpie & Me is thrilled to be voted Britain's Best Arts & Craft Market. Put a spring in your step and hop on down to the Lady Magpie & Me Spring & Wedding Fair and see if you agree.